Dance City welcomes all kinds of people with a passion for all kinds of dance. 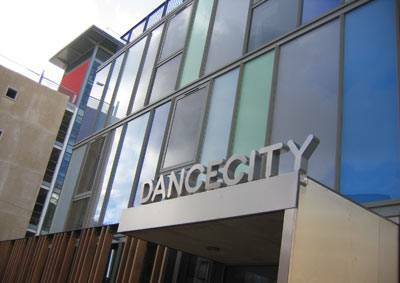 Opened in the autumn of 2005, Dance City’s pioneering £7.6m centre for dance has given the organisation the perfect home from which to develop and drive dance forward as one of the most exciting art forms of the 21st Century. One of nine National Dance Agencies, Dance City energetically pursues its remit to develop dance in the region through professional artistic support, education, dance performance and participation and regional development. From classes and workshops to the presentation of work from leading international choreographers to superb educational opportunities through academy and degree courses (in partnership with Northumbria University) Dance City offers the public and professionals alike the opportunity to participate in dance at all levels across the North East of England.